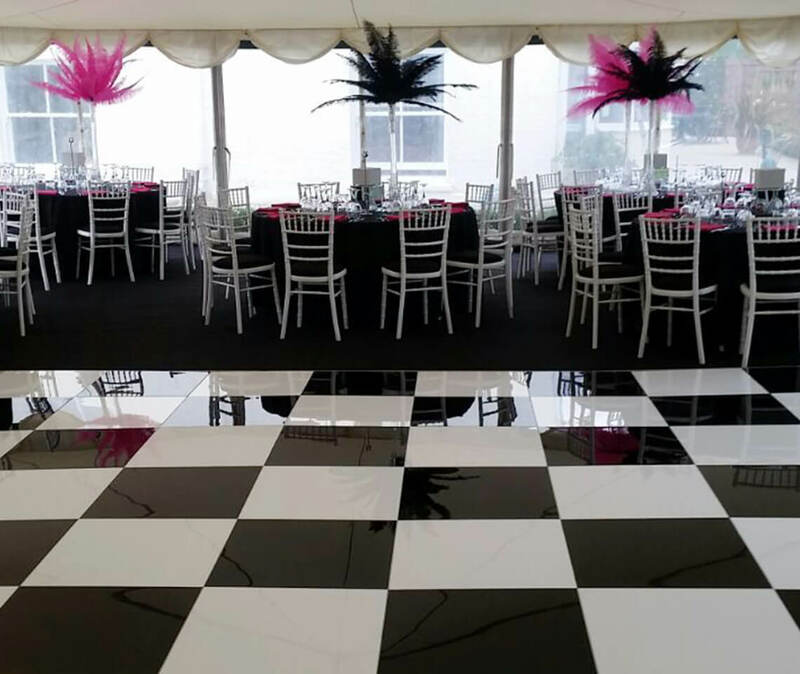 Combine our black and white gloss panels to create a classic chequered effect, or opt for a striped or zig zag arrangement. 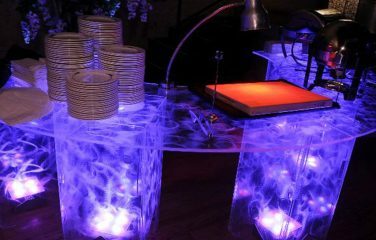 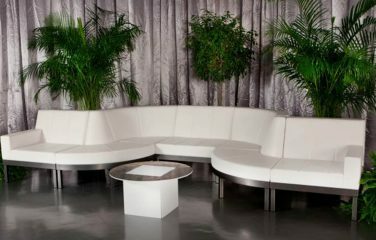 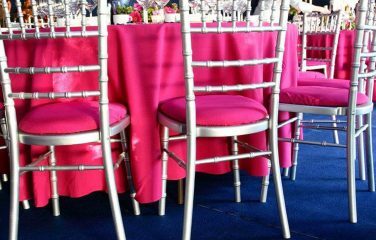 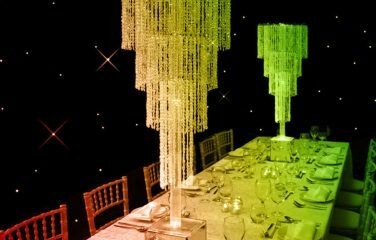 Each style is timeless and fun, creating a great statement at any event. 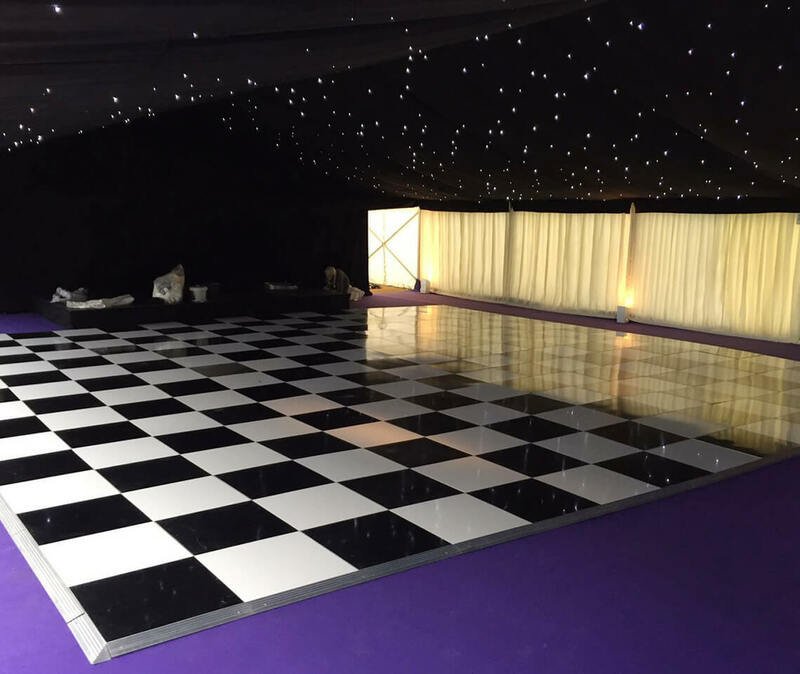 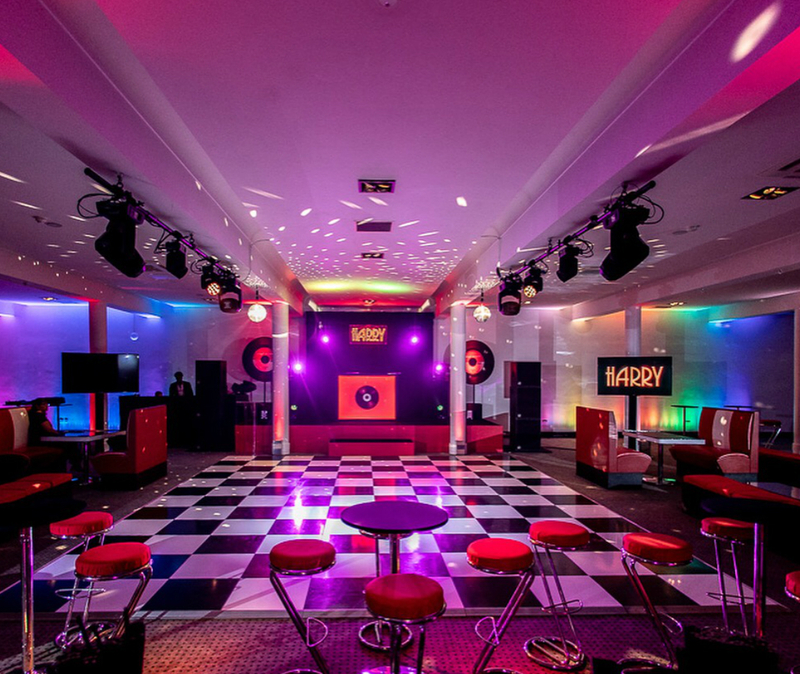 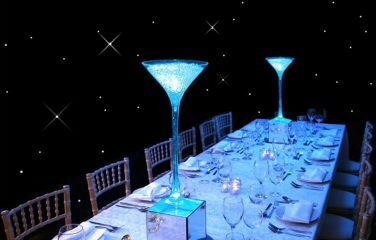 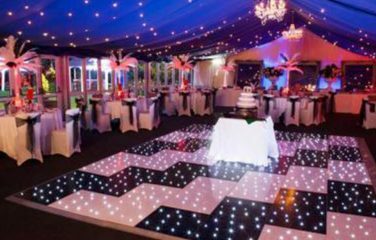 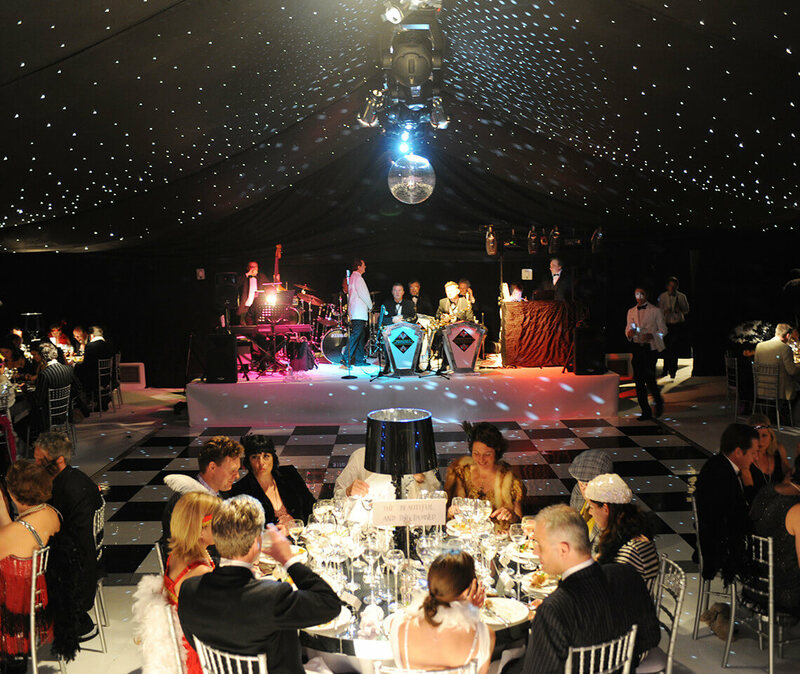 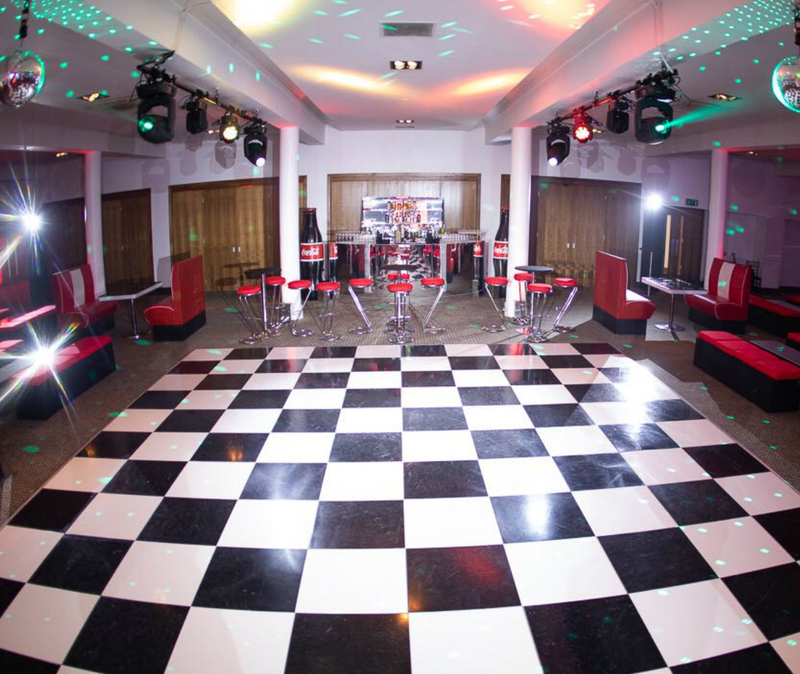 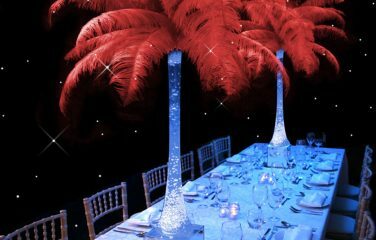 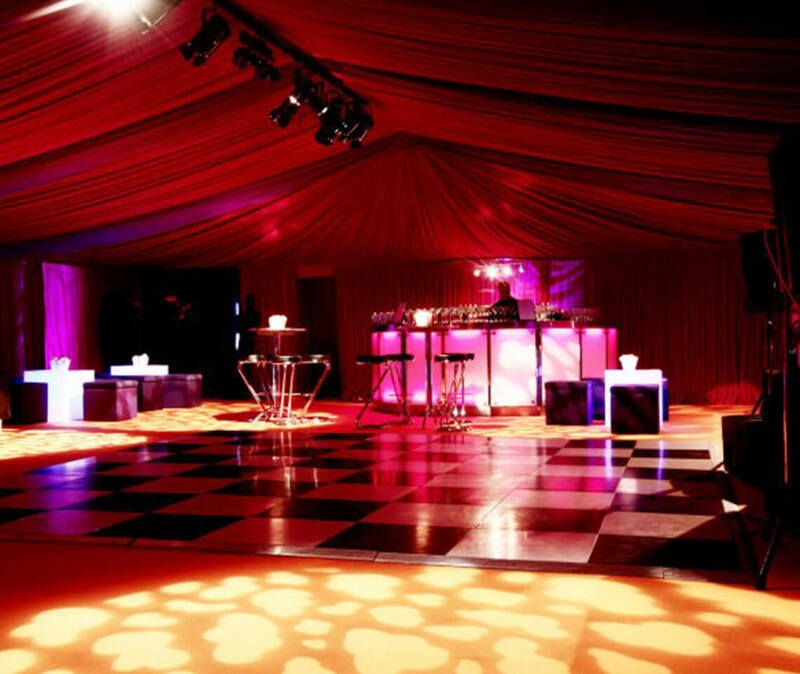 Gloss floors are truly versatile – this one is a popular choice for Art Deco or Circus themed parties, as well as at corporate events and in marquees. 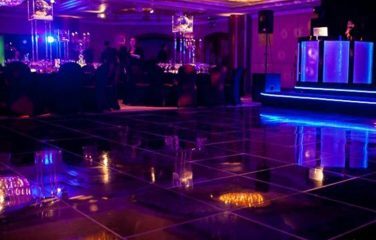 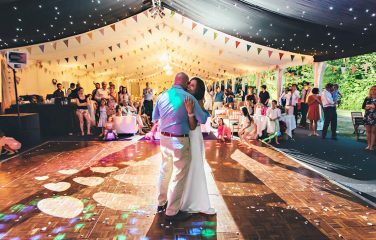 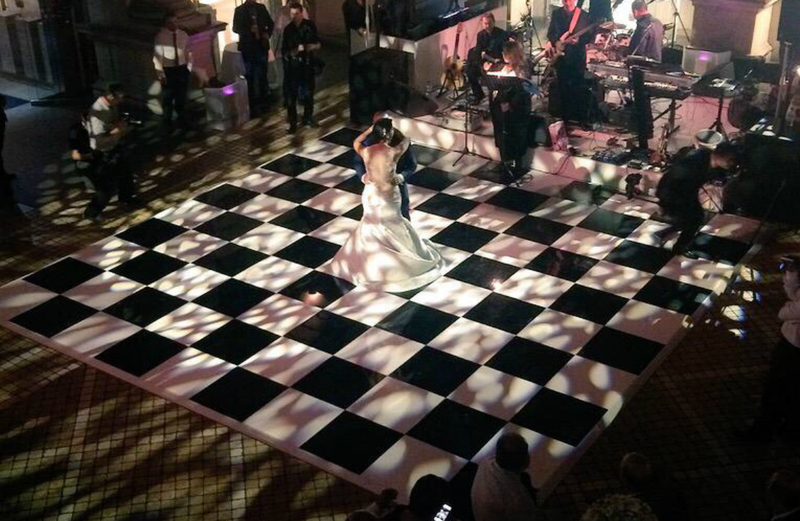 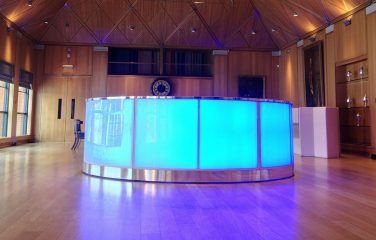 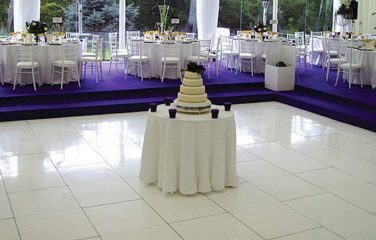 Choosing a high-shine gloss dance floor is a fail-safe way to create a stunning dance space for your guests. 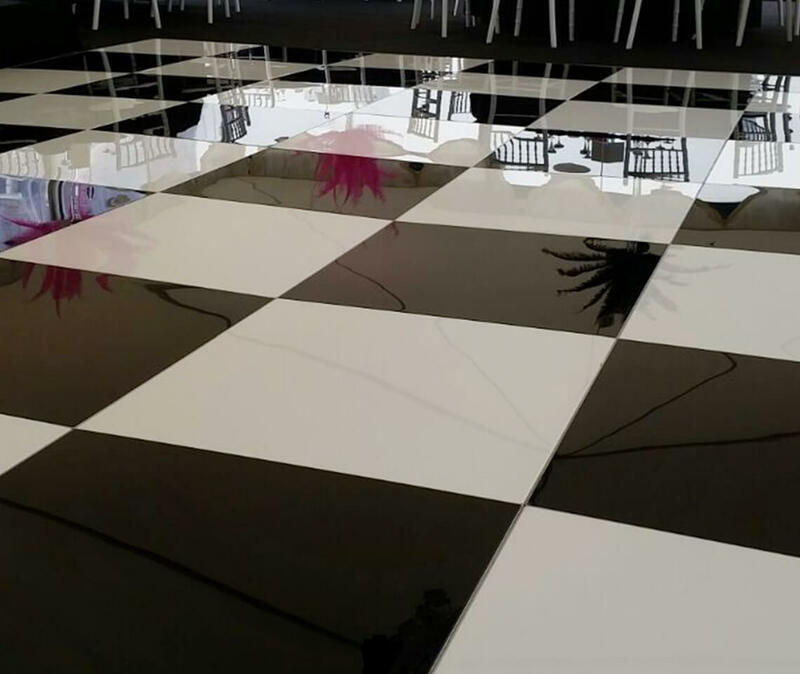 To personalise this floor, you can opt to alter the arrangements of the black and white tiles to create a squared, striped or zig zag pattern.